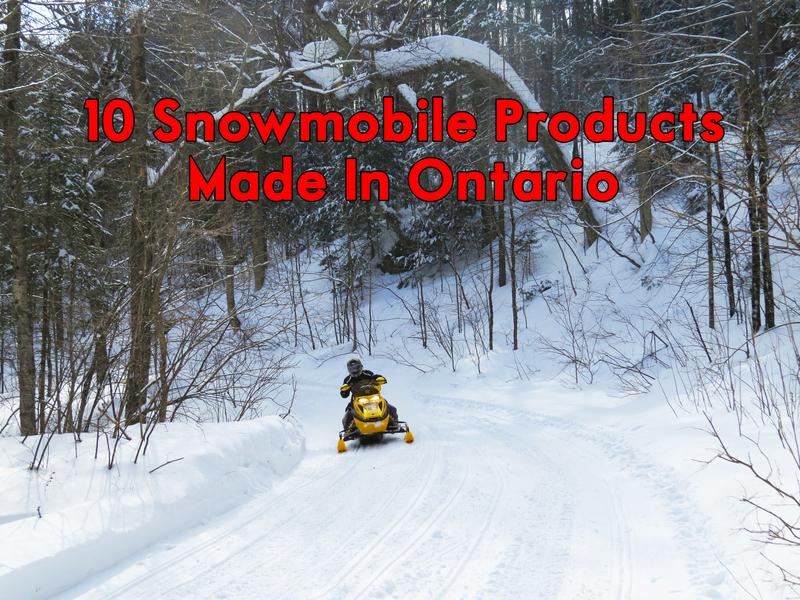 Ontario is home to thousands of passionate snowmobilers and with passion comes innovation, so it’s no surprise that we have some amazing snowmobile specific products for you to buy right here at home. By no means is this an all-inclusive list, so if you’re from Ontario and have created something for snowmobilers we want to hear about it! Tag us @What A Ride & #OntarioSnowtrails with your inventions even if they are the backyard type! 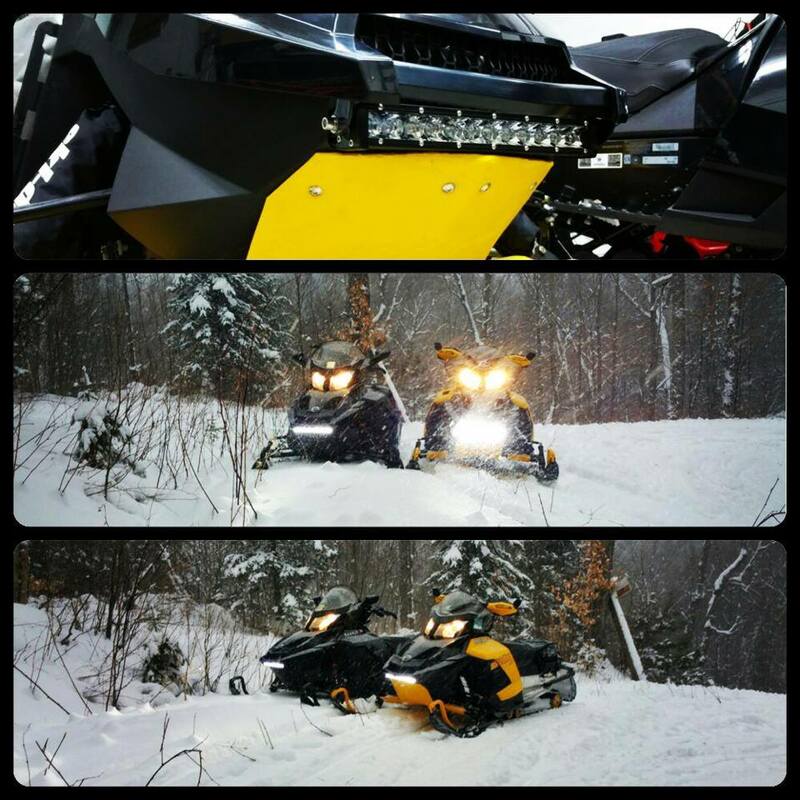 Sean at Team K-OS has created some of the most durable and practical front bumpers for the Ski-Doo XP/XS/XM Chassis sleds. These newly designed front bumpers increase strength, add protection and look great. The value with the at-home price make this bumper a great purchase. 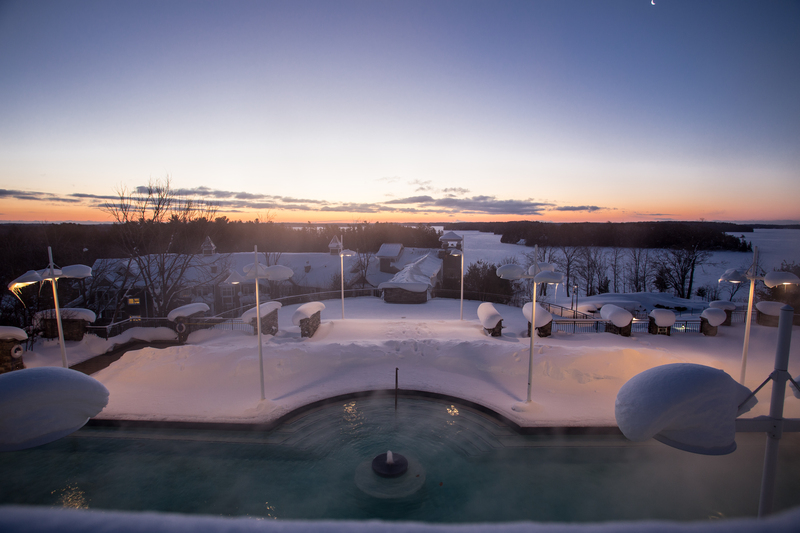 You’re also going to want to check out the kill switch relocates, sled lifts and easy load ramps, all of which are designed and built here in Ontario. Based out of Minden Ontario, TekRider has been around for more than 20 years. In 1996 Steve Brand developed technical riding gear to meet the needs of snowmobile enthusiasts both on and off the track. Since the original TekVest in ’96, riders from around the world of all skill levels and riding abilities (from you and I to professionals) have utilized the TekVest. Best of all there are countless stories of how the TekVest has protected riders allowing them to ride again the next day. Val at Mainway Solutions has developed brilliant greasable bushing kits for suspension linkages. Our sleds take all kinds of abuse so keeping suspension parts in spec greatly increases how well the machine rides as well as the longevity of the parts these bushings fit into. 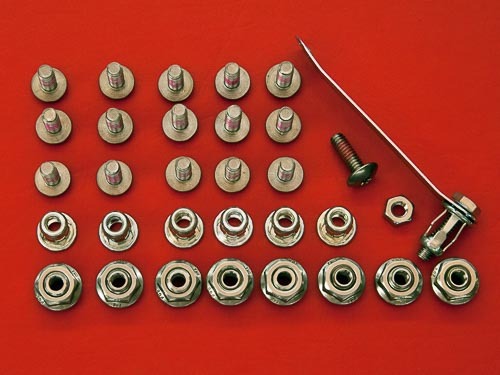 Make sure you check out the nifty nutsert kits that allow you to easily install/remove your skid plate – no rivets! Reckless Industries has just opened a manufacturing centre in Newmarket. Here they will build some of the highest quality LED light systems on the market. They provide customized wiring harnesses, exceptional warranty and utilize Canada-tough materials that will stand up to the elements, vibration and shock of our off road world. 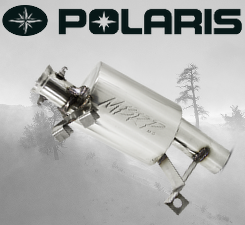 They offer snowmobile specific wiring kits that make the installation easy. 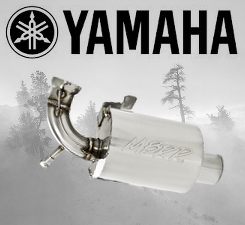 Based out of Huntsville Ontario, the MBRP name has become synonymous with motor power across North America. 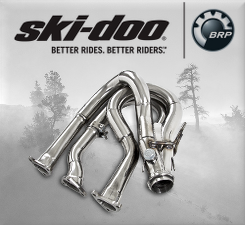 MBRP’s brand and model designed products enhance trucks, cars, motorcycles, ATVs and of course snowmobiles. Everything here is designed utilizing the latest technologies and manufacturing processes and each design is comprehensively tested on a Dyno to verify performance gains. 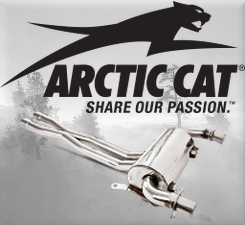 MBRP builds thousands of aftermarket and replacement exhausts for all years of snowmobiles and their product can easily be found through dealers and distributors. 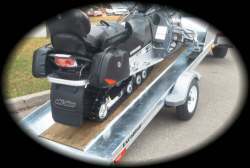 There are several Ontario manufacturers of snowmobile-specific trailers with various options in sizing and configuration available to suit your hauling needs. The Marine Cradle Shop is located in Sutton West, Excalibur Trailers in Brampton and Easy Hauler in North Bay – all three manufactures offer trailers through local distributors–buy local, buy Ontario. If you’re looking for the most refined performance accessories look no further than Bill Cudney. Bill has decades of snowmobile performance experience, a wall full of trophys and has even earned the title of international snowmobile racer of the year. Cudney’s extensive background is reflected in each and every one the products he sells and then backed up with personal support for any questions. Get ahead this winter and lead the pack! 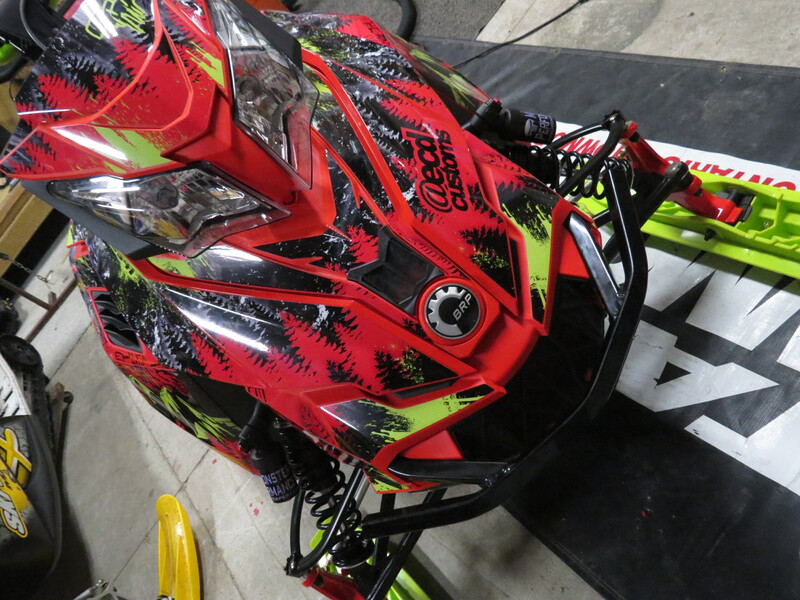 Designed and printed out of Temiskaming Shores, the team at ECD Customs is known for creating some of the highest quality snowmobile and motorsports-specific wraps on the market. You can even get your GoPro wrapped in the same design as your sled. They’ll do sleds, trucks, trailers, boats, bikes and more. – check out Project Galaxy from SEMA 2016 here. Supertrax, Snowgoer Canada Magazine and On Snow Magazine are al produced right here in Ontario and both distribute across Canada and North America. From the latest reviews on sleds to turn by turn articles on epic destinations, these two Ontario-bred publications cover it all and are a great way to enjoy snowmobiling for those times when you’re not out riding! 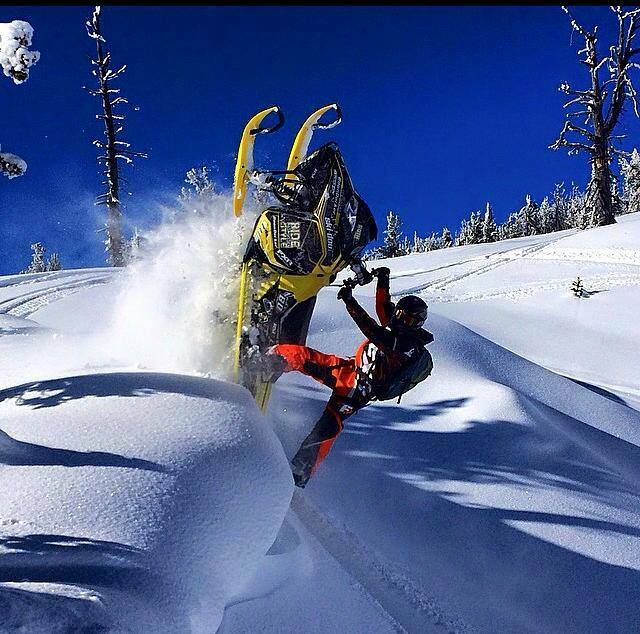 Northern Ontario – “the place where you reach out with one hand and get 10 back” – this statement couldn’t be truer about the snowmobile friendly businesses that are connected directly to our vast trail system. 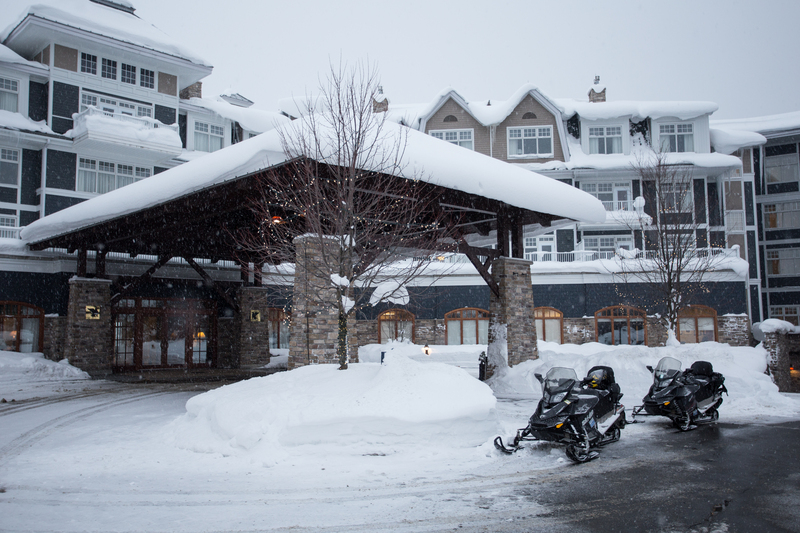 An experience at one of Ontario’s snowmobile friendly accommodations will create memories that will last a lifetime, and that my fellow riders, is priceless. So here’s to boxes filled with Ontario-created sled-usable goodies under the tree, and a envelope for a memory making adventure.